We are huge fans of adding Om Mushroom Powders to coffee and tea but what about those summer days when hot beverages are a no-go and you need something refreshing and cool? Our Cherry Chaga Popsicles are the answer to hot summer days! 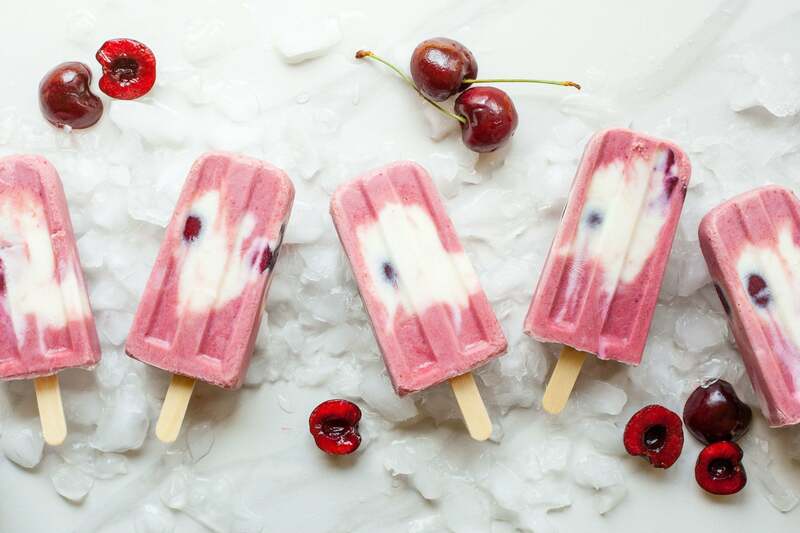 These adaptogenic popsicles full of healthy fats, fresh cherries + Om CHAGA, which supports anti-aging and is packed with powerful antioxidants. They are the perfect mix of creamy + tart and are a definite crowd pleaser. Here’s to staying cool this summer! In a food processor or hand blender, puree the raspberries or cherries and CHAGA until smooth and set aside. In a separate bowl whisk together the coconut milk and sugar. Combine CHAGA berry mixture and coconut milk mixture and stir until well swirled. Pour into popsicle mold, add sticks and freeze for at least 5 hours or overnight.